Discussion in 'Portable Headphones, Earphones and In-Ear Monitors' started by PinkyPowers, Jul 11, 2018. You may be thinking, Pinky, you creep, there is already an LS thread over HERE. Indeed there is. 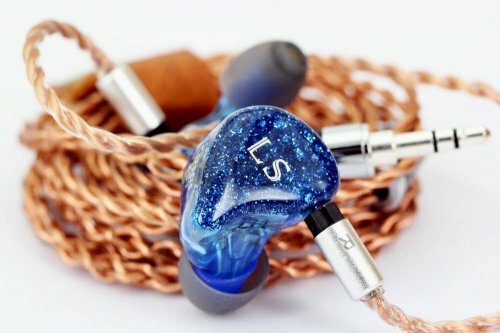 @Cinder did a beautiful job providing impressions of an early prototype, but Michael of Lark Studio feels the LSX has evolved dramatically since then, and asked if I would create a fresh page for the official launch of their first IEM. It might seem a little redundant, but I agreed. And since I agreed, I plan to make this the best thread I can. I shall keep the first post up-to-date with news and developments. When I get my hands on this IEM (soon, I hope) I will provide first impressions, further thoughts, and finally, links to mine and other's reviews. Right now, though, all I have is promotional material to share. Do enjoy! The lark is a well-known bird to the music industry. As it flies high, you may only catch a glimpse of it as its cry reaches you. The crisp and sweet sound of the lark is a symbol of Lark Studio's constant pursuit of sound quality. The lark's rich colors inspire us to build ever more diverse and beautiful products, with an aesthetically-focused design. 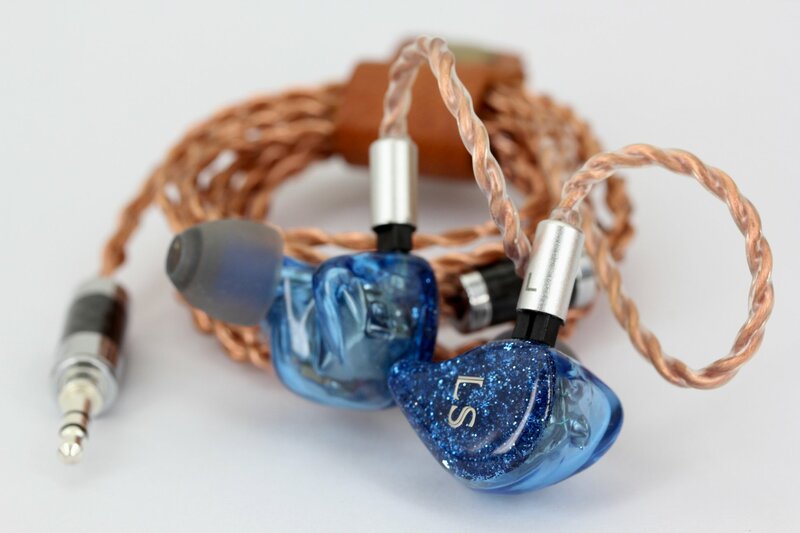 Lark Studio was created out of a passion to bring the market top-notch custom and universal in-ear monitors embodying the beauty of the lark, in both body and sound. After a long two years of preparation, three audiologists, with a combined experience of 18 years, set out to create excellently-performing monitors that provide an excellent visual and sonic value. Each employee of Lark Studio is a veteran of the audiophile market, with the youngest of ours having more than five years of experience. We are a group of people chasing dreams. Our team features an industry-leading tuner, hardware engineer, and product engineer, and together we've refined the traditional engineering/production cycle to provide a higher quality product, at a lower cost. Each pair of in-ears goes through three separate polishing passes at the factory and is inspected for quality control rigorously with each pass. We do not tolerate any defects. 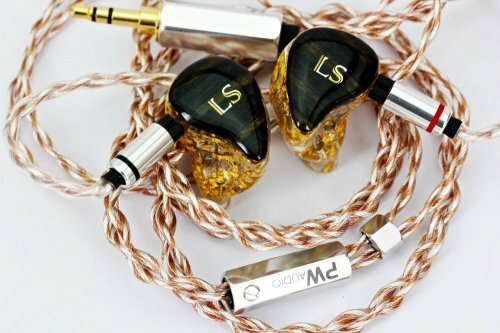 During the production process, our IEMs pass through four separate groups of tests, designed specifically by our quality-assurance team. And just to make sure that nothing gets through, a manual review is done by a trained professional right before we box up your new pair of in-ears. As a testament to our commitment to our customers, we offer a comprehensive insurance package that covers all forms of damage, be it user error, product defect, or environmental damage. A payment of $180 gets your IEM two years of no-questions-asked insurance. Just send us your IEMs and we will get to work. Please note that shipping must be covered by the customer. Each of Lark Studio's products is a labor of love. 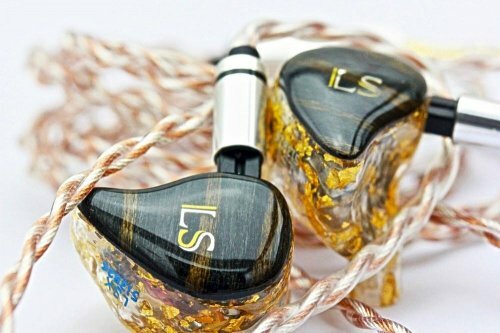 Every in-ear is made from high-quality materials, including some of the finest exotic woods you can find. Each piece is painstakingly screened for visual appeal and then treated to get the highest level of aesthetic value. 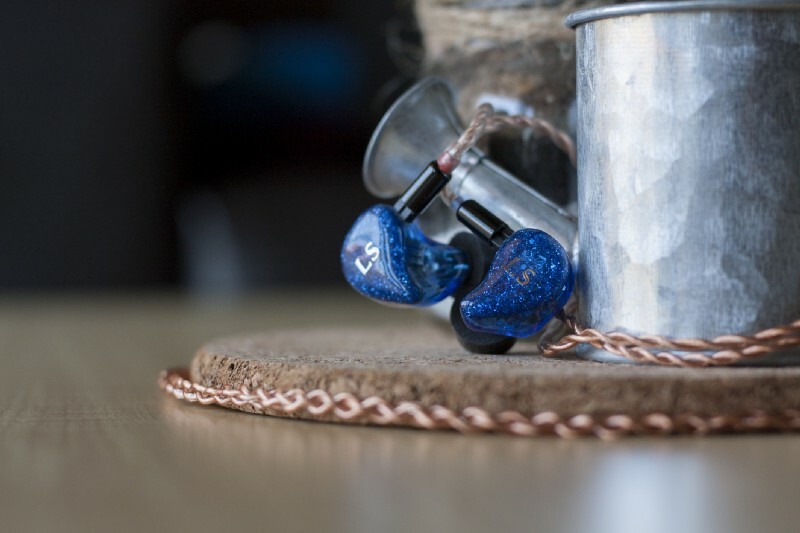 We aim to build for you IEMs that transcend utility and become a true work of art, an heirloom quality product. It is exactly for this reason that when each new employee joins the company, he or she knows they must embody the values of Lark Studios. The staff strongly believes in the value of their work, as their job lets them bring life to an inert piece of plastic or chunk of exotic wood. This is the story, and these are the values, of Lark Studios. We aim to provide you with a service that leaves you glad you did business with us. Happy reading! 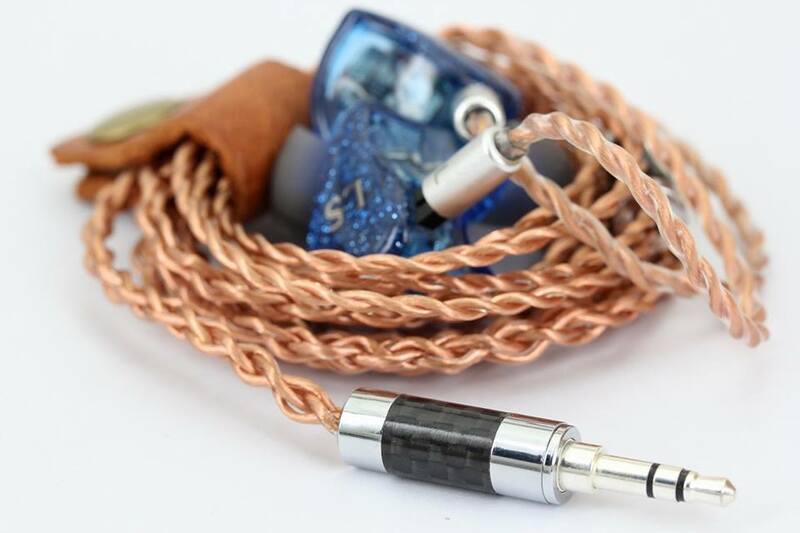 Tapping into his vast experience with copper based and silver based cables, Peter Wong has set out to create a new range of products, known as the “Vanquish” series, to mark a new era of PWaudio products. 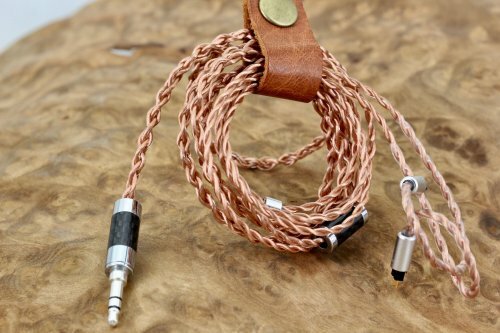 Featuring a unique geometry and wire design based on his “Sevenfold Pipe” series, together with his knowledge of different types and grades of cable materials, PWaudio has created the Saladin. Saladin features an all new 7 bundle Litz geometry of copper and silver-plated copper. Drawing from the characteristics of the copper, Saladin presents a vast, yet warm sound that draws the listener in with its intimacy and smoothness, and which also takes advantage of the SPC to present a detailed treble that provides added resolution and energy. The LSX comes in Universal and full Custom, but all versions can be customized with unique shells, including custom artwork (if it's not too complex) at no additional cost. There are two versions of the LSX: Standard Edition, and Special Edition. 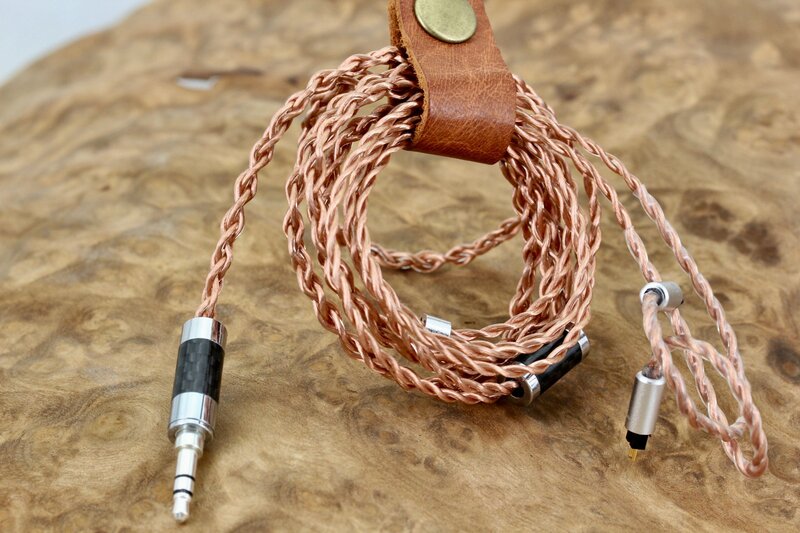 Apart from the PWaudio cable, the Special Edition also boasts a 2 year warranty, as opposed to the standard 1 year. I'm excited to get these things in my ears and let everyone know how they sound. Stay tuned! I'm trying to put together a private tour for the LSX using my personal unit. If anyone is located in the US and is interested in participating, please let me know. I forgot to post it earlier, but here is my LSX review! For their looks only... they look damn STUNNING! I wanted to say how much I like the tone of their blue color, but when I've got myself at using "blue" 3 times in 10 words... Well... Hope I will have a chance to listen to them in fiuture and post some - at least - brief impressions. Waiting for your impressions @PinkyPowers ! Me too. I have yet to receive a set. If you are in the US I can loan you my pair. Wouldn't mind helping a fellow out! That's very kind of you! But I won't be reviewing this anytime soon. Here's my review of the LSX! I love the art, and it’s awesome that they don’t charge extra for it. That said... 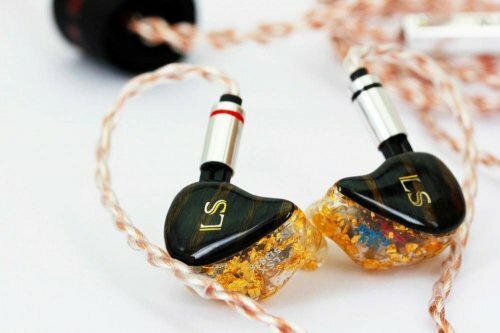 I didn’t find the IEM to be spectacular or anything (both the pre-production version and the final tuning). Then again, it seems to be FOTM in Korea, so maybe I just have weird ears... or different preferences? It's been a couple months, so I don't remember the exact details. 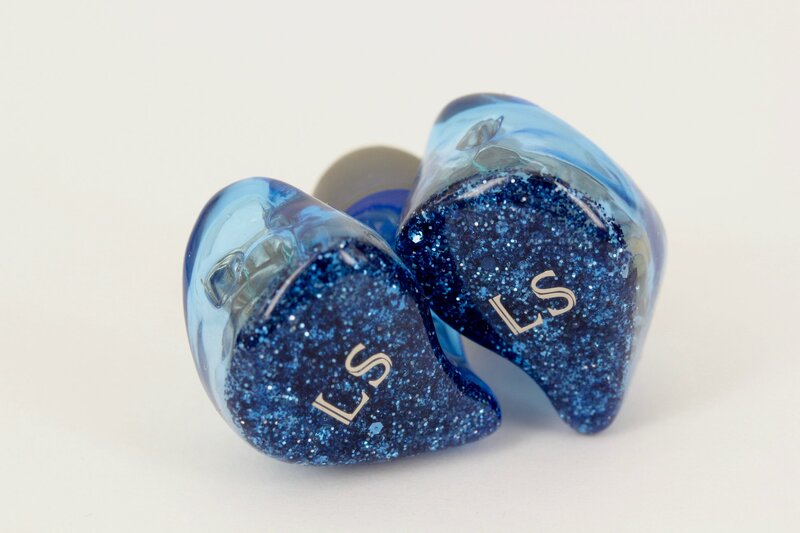 However, at that specific store, I would've listened to the IEMs out of either the AK SR15 and AK SE100 since I hate how bulky the SP1000 is (and also with my iPhone, b/c why not). While I am not too big on cable differences, the cable used was either the PWaudio Saladin or Xerxes. The cable model for both was the same, but the early tuning one (brought in by a customer) was with the 8-wire and the final tuning one with the 4-wire. Not super picky about music genres, so I'd say a decent mix of stuff? Thank you very much. I asked because i will purchase it soon.